We are The Dulwich Estate, a registered charity established by our founder Edward Alleyn in 1619 to offer educational opportunities to disadvantaged children, housing to the elderly in need, and a place of community worship. We are The Dulwich Estate, a registered charity established by our founder Edward Alleyn in 1619 to offer educational opportunities to disadvantaged children. As a charity, we focus on education, sheltered homes for the elderly, and providing a place of worship in the community. We provide funding to seven outstanding schools, in Dulwich, Orpington and east and central London, either directly or through foundation trusts. 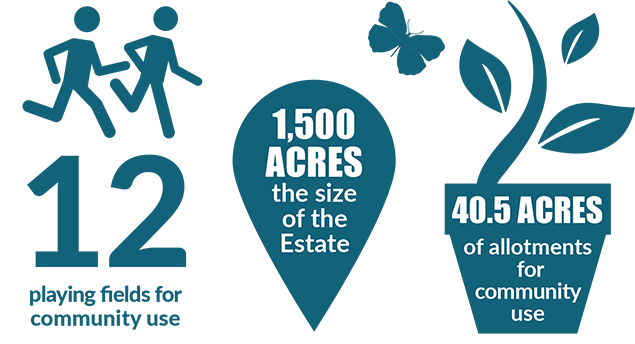 While our charitable objectives are focused on defined beneficiaries, much of our day-to-day work involves looking after the Estate. As stewards of this unique part of south east London, we are committed to preserving its character while ensuring Dulwich continues to be a place to enjoy now and for the future. We are landlords to many local residents and businesses and we oversee the Scheme of Management, a set of guidelines that help us manage the development of Dulwich, enabling the area to evolve with care. We also ensure that our roads and public spaces are well maintained. Finally and crucially, we are proud to be an integral part of the Dulwich community. We support local initiatives and community groups, promote businesses and celebrate the things that make Dulwich such a great place to live, work and visit. We want everyone living, learning and working here to enjoy Dulwich to the full, so if there’s anything we can help with, please get in touch with us.